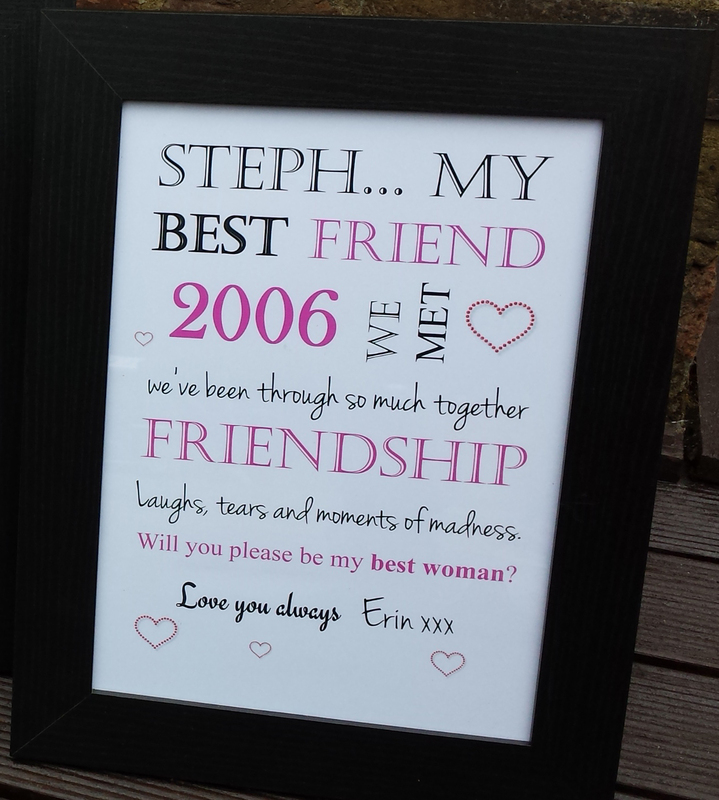 Add Text for Bridesmaid etc. The Print is 8×8 in size and if you choose the framed option, the frame provided measures 8×8″ and fits the print perfectly making it a complete package to simply wrap and give as a gift! Frame can be free-standing or hung. Photographs shown are for illustration purposes only and because you provide your own unique set of words, the layout, colour differentiation and font sizes of your personalised print will differ from the ones shown but will be equally stunning. *Printed on Premium Gloss Paper 230 gsm. Any questions, please do not hesitate to ask – I am more than happy to work with you to create whatever you need. If you prefer different colours to the ones specified please contact me and I can advise on other colour schemes available. 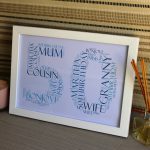 No returns as this is a personalised item and cannot be resold, however I pride myself in excellent design and customer service so if you are unhappy with your item for any reason please contact me.